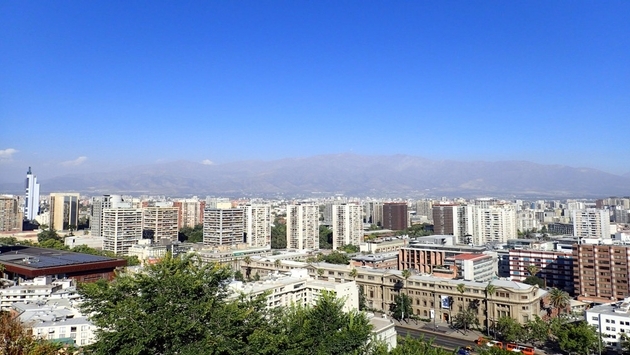 Chile’s capital city, Santiago, does an amazing job of blending its proud and distinguished history with its modern infrastructure and a progressive outlook. Crumbling, timeworn buildings stand side by side with giant glass skyscrapers, suited office workers walk past giant street art murals and the city itself stands surrounded by snow coated mountains. Palacio De La Moneda, or La Moneda for short, is the current home to the presidential offices and lies right in the heart of the city. It’s a vast, striking building with a huge cultural significance to Santiago and Chile in general. It’s particularly famous for being the site of the military coup led by the infamous General Pinochet in 1973, when the President Salvadore Allende committed suicide rather than risk being captured alive. 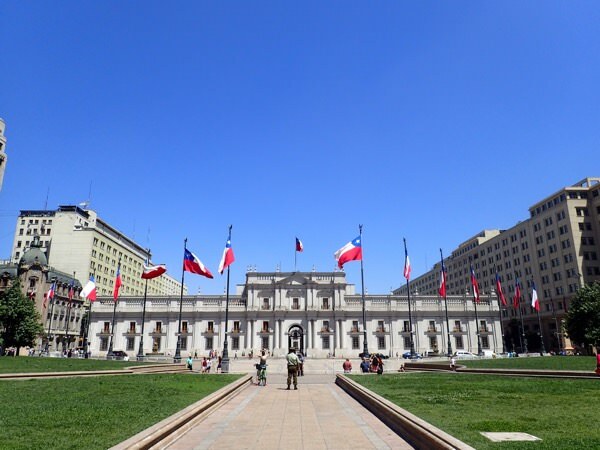 Originally this site was used as the national mint, which gave rise to its name La Moneda meaning “coin” or “money,” but was then converted to serve as the President’s residence before its current existence. It is possible to book free tours of La Moneda by submitting an application a couple of weeks beforehand and they offer a fascinating insight into the inner workings of the building. Behind La Moneda, underneath the Plaza de la Ciudadanía is the Centro Cultural which holds regular art exhibitions, film screenings and theater productions and is well worth a visit for the expansive architecture alone. You can also witness the changing of the guards here, a formal ceremony that lasts around 30 minutes involving a marching band and lots of formalities. It only happens on alternate days – on even days in January, April, May, August, November and December and odd days in February, March, June, July, September and October at 10AM on weekdays and 11AM on weekends. 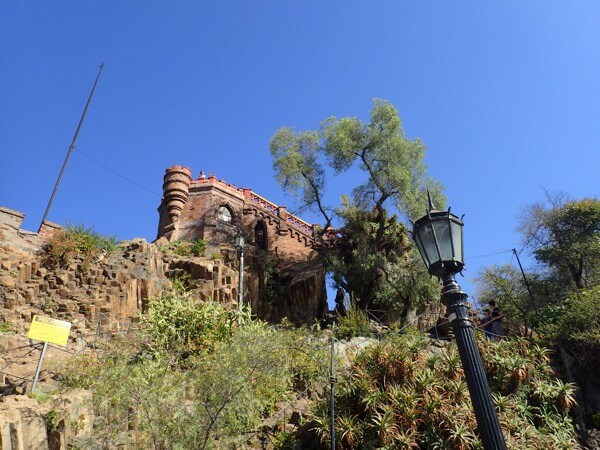 This beautiful park in downtown Santiago is built high into the hillside providing unrivaled panoramic views across the city and out over the snow-capped Andes mountain range. The route to the top is made up of multiple winding paths, some lead to the next trail but many are dead ends that will have you retracing your steps. The routes are flanked by statues and quirky castle-like buildings sporting turrets and fancy facades and there is even a small chapel towards the peak. Every day a canon is fired to mark midday which can be heard from anywhere nearby. There are food and drink stalls dotted around the hill making it the perfect place to take a break from the hustle and bustle of central Santiago. This is Santiago’s central square, popular with residents and tourists alike and where many street performers come to make their living playing music, doing stand-up comedy or clown routines. 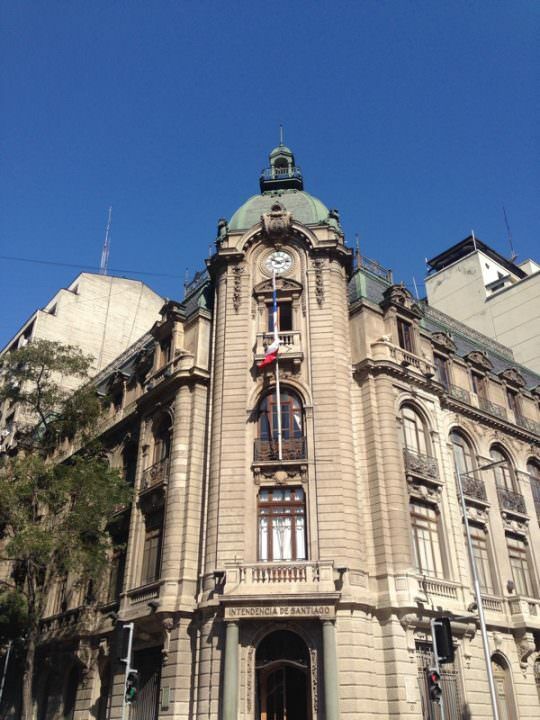 The beautiful old European-style buildings that overlook the Plaza De Armas include the City Hall, the Coreo Central or main Post Office and the Metropolitan Cathedral - all are fine examples of Santiago’s celebrated architecture. The square is packed with fountains, statues and dotted with palm trees. Thanks to it being such a hive of activity, it's a great place to come and observe people going about their day-to-day business. Settling down outside one of the many cafes or restaurants that surround the plaza, grabbing a coffee or a glass of wine and people watching is a great way to while away an afternoon while soaking up the culture. This contemporary museum was opened in 2010 to commemorate the thousands of Chileans who fell victim to the Pinochet-era atrocities. Inside the eye-catching green glass and copper building is a chilling tribute to the 40,000 people who were “disappeared”, tortured and imprisoned by the brutal military regime that was in power between 1973 and 1990. Various moving exhibitions use film, photographs and assorted artifacts to illustrate the atrocities. Whilst this is not necessarily an enjoyable visit, it’s a necessity to understand the recent struggles that the Chilean people have been through and serves as a stark and constant reminder that it cannot be allowed to happen again. Chile produces some of the finest wines in the world and Santiago is surrounded by a number of the top wineries in Chile including the world-renowned Concha y Toro. The tours from all producers here tend to include a walk around the grounds and vineyards, some history on the business and the grapes they grow, a tour of the cellars and of course a wine tasting session. You are also able to find tours on horseback, cycling tours and tours that combine visits to more than one winery. Chile is one of South America's most culture rich countries and Santiago is undoubtedly home to many of its cultural highlights. Whether you're interested in art, theater, architecture, history or food and drink, you'll find everything you are looking for in Santiago.